Stand Up For Stockwell: Fireworks Night! For an exciting and safe Guy Fawkes night, bring all the family along to the Lambeth fireworks display at Brockwell Park, Streatham Common or Clapham Common. The fun starts at all three venues at 7.30pm on Thursday 5 November. 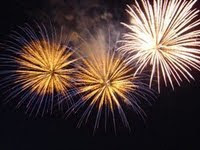 Find out about travel details and firework safety on Lambeth council’s fireworks page.